Approved Science Caralluma MD Review - A Wise Purchase? The following review is for a product called Caralluma MD. The product has been specifically designed to help with weight loss and fat burning, whilst also controlling hunger and boosting the metabolism. This product is one of our favorites as it is manufactured with 100% all pure caralluma fimbriata extract, whereas similar products on the market are synthetic. It is a safe, fast way to lose weight and burn that unwanted fat. Read on below to find out more about Caralluma MD. 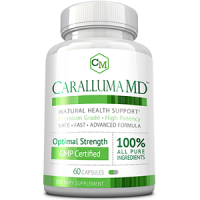 What’s in Approved Science Caralluma MD? This product contains a clinically proven, effective, and all-natural ingredient, known as caralluma fimbriata. This main active ingredient helps suppress the appetite and in turn supports weight loss, fat burning, and boosts the metabolism. Caralluma MD does not contain any preservatives, additives, or added ingredients. This highly potent product comes in a vegetable capsule. 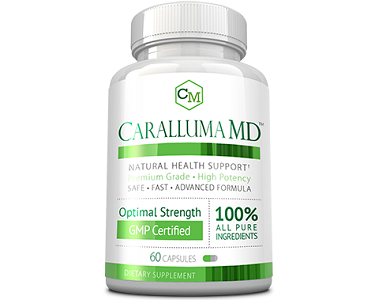 How Do You Use Approved Science Caralluma MD? The manufacturer has recommended that adults take one capsule two times a day, between meals. It is also suggested that for best results, one can take one capsule in the morning and one capsule in the afternoon. Each daily dosage provides a safe and effective serving size of 1600 mg. The product is not intended for pregnant or lactating mothers, children under the age of 18 years, or by individuals with a known medical condition. These persons should consult a medical physician before the use thereof. The manufacturer offers a number of purchase options from their official website. A single bottle of 60-capsules (which will last one month) costs $49.95. They currently offer 3 package deals. If you purchase 2 bottles it will cost $69.90, 4 bottles will cost $111.80, and 6 bottles will cost $139.80. It is clear that the customer comes first as each individual bottle’s price decreases with the larger bundles that are purchased. Caralluma MD is certain about the effectiveness and the positive result that the product will provide and that is why they offer a solid guarantee. Thus, if you are not satisfied with the product, for any reason, simply return both the used and unused bottles for a full refund (excluding shipping). Just return the product within 60-days after purchase. However, the customer reviews state that the product provides excellent results and that is why we think you will not make use of the money-back guarantee. 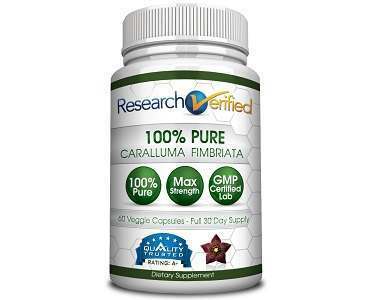 After examining Caralluma MD, we can conclude that this product is safe and effective. Not only is the product well-liked among users, it also meets the high standards. The product contains 100% pure caralluma fimbriata which is healthy, safe, and effective for your body. It appears to help the user lose weight and suppress their appetite at the same time. Each vegetable capsule contains 1600 mg, which is the healthy recommended serving size per day. The manufacturer has provided the customer with clear instructions on how to use the product. Furthermore, they also offer several package deals to suit your needs. For these reasons, the manufacturer feels confident in the product and the effectiveness thereof. This is why they offer a 60-day money-back guarantee on used and unused products. We recommend the use of Caralluma MD.